Looking To Grow Your Gym? The PREMIER online gym-building resource for your marketing, business, & branding needs. Where Are You In The LifeCycle Of Owning Your Gym? Ready to sign up for Hub? Hub is a GAME CHANGER. Gym-building courses/templates from relatable experts and a community of like-minded gym owners. Easy-to-follow, tactical, and actionable. They cover topics from growing your gym, creating successful Facebook campaigns, and becoming a strong leader. Incredible time-saving templates and checklists. No more wasted time searching for resources to grow your gym. It's all right here. 21 Day #GSD Challenge: Invest in Your Business, Your People, and Your Self. Three tasks per day for 21 days to accomplish more. In this course we cover how to use Hatchbuck to manage your lead nurturing and retention campaigns used in GymWell. 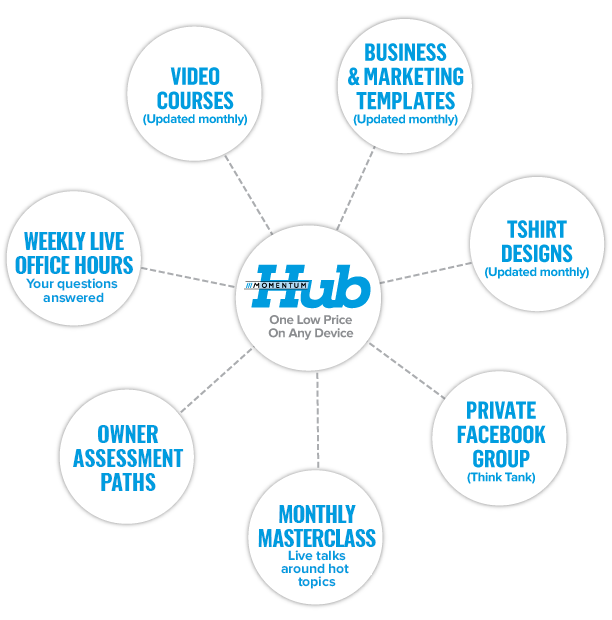 If you are looking for the PREMIER online gameplan to build your business, Hub is for you. Affordable $79 monthly price. No contracts. Community of fellow gym owners. Accountability. Always adding more resources.